It was 12 years ago that the closure of the iconic Caffyns garage on Kingsway in Hove was announced. Demolition followed, despite the building’s status as one of the finest examples of inter-war development in the town. The adoption of the Modernist style by Caffyns was no accident. The famous Sussex car dealer rapidly expanded during the 1930s, at which point a conscious decision was taken to embrace the new. Modernist branches were built in Haywards Heath in 1935 and in East Grinstead in 1936. Hove’s was completed in 1938. This very international style of architecture influenced, and took influence from, boats, cars and planes. The link between Modernism and planes was welcomed in the naming of a brand new block of flats on the old Caffyns site. The nearly-finished ‘Vega Building’, built to the designs of London-based PTE, has just been unveiled. The Lockheed Vega was used by Amelia Earhart in 1928 to fly from Canada to Northern Ireland in what was the first solo trans-Atlantic flight by a woman. There is another plane link, of which I am not sure that others are aware, which is that aircraft parts were actually manufactured on the site during the Second World War. The Vega Building is owned by Southern Housing Group and consists of 40 flats over four storeys. There is also an underground car park. Just like the structure that it replaced, it features white render, stark lines and ribbon windows. 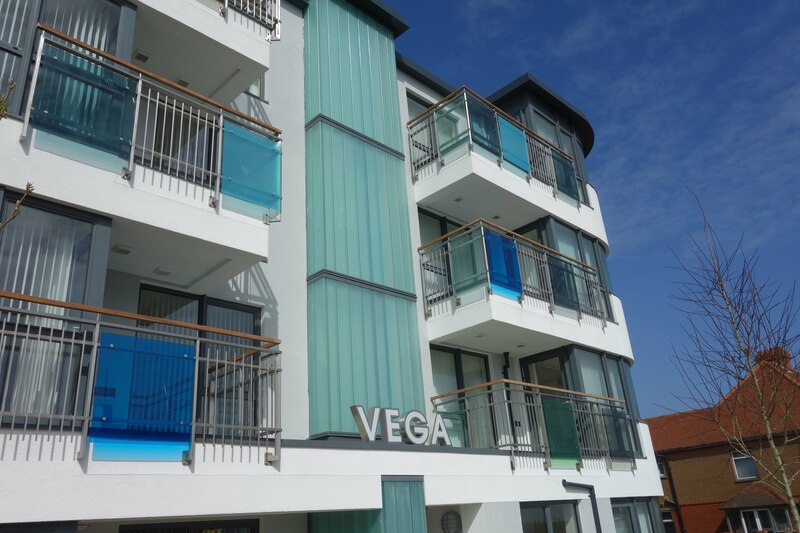 I particularly like the balconies’ glass panels which come in a variety of sea-inspired colours. The building’s round corner bays actually feature curved panes of glass, which is most pleasing. Frosted glass throughout the stairwells (in what I interpreted as the popular Art Deco eau de Nile colour) reminded me of Lalique’s work throughout the Glass Church in Jersey. One criticism though is that these lovely tall panels obscure views across Hove, sea and Downs. Extra special effort has been put into getting the signage throughout the building right by Richard Wolfstrome and Andy Parsons of Brighton-based branding consultancy Yelo Wolf. 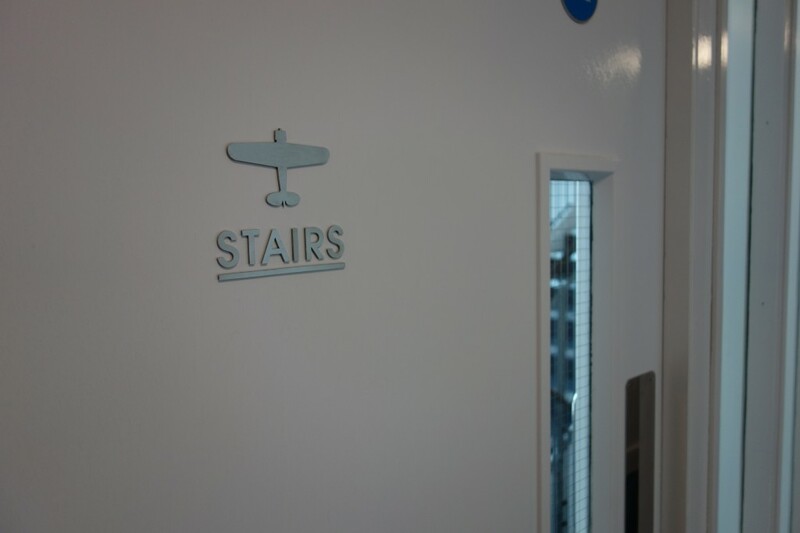 The Avant Garde font has been employed in satin stainless steel on doors, corridors and stairwells alongside sleek cut-outs of the Vega itself. Attention to detail on this project is serious. Lighting in the central glass panels actually rises and falls with the tides, no doubt as a beacon to any passing pilots who fancy a sea-landing.